RIO DE JANEIRO, Jan. 28 (Xinhua) -- The death toll from Brazil's mining dam collapse in southeastern Minas Gerais state has reached 65, local authorities said on Monday. 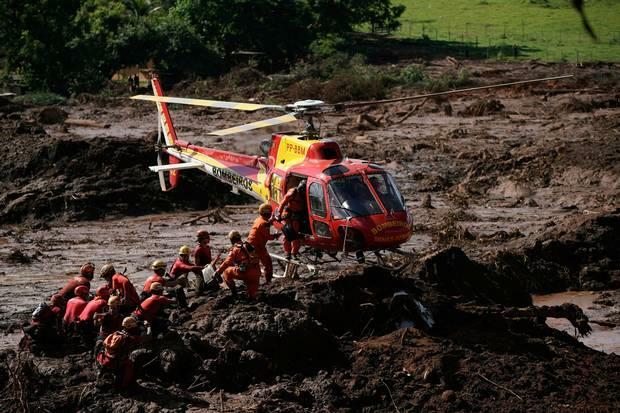 Rescuers have been trying to recover bodies and search for survivors following Friday's collapse of a tailings dam in the town of Brumadinho, but three days after the humanitarian and environmental tragedy, the chances of finding people alive are remote. About 279 people are still missing, and over half of them are employees of the mining giant Vale, which owns the iron ore mine. Some residents of the area are also unaccounted for. A large number of employees were having lunch in a company cafeteria located just below the dam when it burst and unleashed a flow of toxic mud. Rescuers believed the flow of mud have swept the cafeteria and a local hotel away, making them difficult to be located. A team of Israeli rescue workers arrived at the site Sunday to help. The 136-member team came with sniffer dogs and 16 tons of equipment.